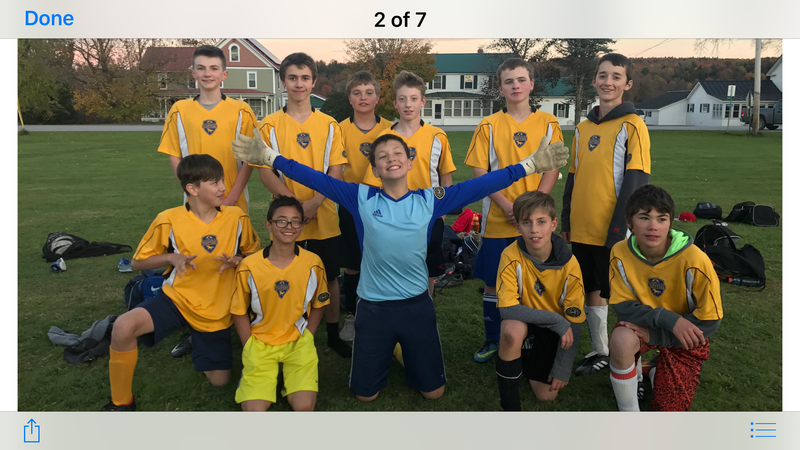 We offer several sports in grades 5-8: fall soccer [boys/girls, grades 5/6 and 7/8], winter basketball [boys/girls, grades 5/6 and 7/8], spring baseball [boys, grades 7/8], and spring softball [girls, grades 7/8]. We also offer the Jay Peak Foundations program, which allows students to ski or snowboard during the winter months. This year, we are adding middle school Cross Country. Students may participate in as many of the sports activities as they wish, at a limit of one sport per season. We believe that the sports program should complement and work directly with the teachings and Fairfield Center School to promote the overall education, growth, and development of our students. Individual responsibility is taught and expected of all involved. This is achieved through the cooperation and involvement of students, parents, and coaches.. The primary goal of the athletic program is to develop students who put forth a winning attitude toward life and school. Victory will come as a natural result of this attitude. Success is knowing you have done your best! At Fairfield Center School we create an environment that encourages and allows for participation by students competing at all ability levels. We aim to promote character and teach many values to our students. Among the values that help our student athletes and competitors to become responsible adults include but are not limited to sportsmanship, leadership and character, commitment to one’s team or activity, critical thinking during practice and competition, time management, self-discipline, and enjoyment. We believe that students will gain these and other values by taking part in the athletic programs offered here. 1. The student-athlete must have no 1’s on their most recent report card in the major subject areas: Math, Social Studies, Science, English, Spanish (grades 6-8), and HR3 (Personal Development) or they will be prohibited from participation in sports for the next trimester. Students who end a year with a 1 on their report card may be permitted to participate in sports for a probationary period of one term at the beginning of the new year at the Principal’s discretion. 2. The team coach is responsible for discipline at practice and games. 3. 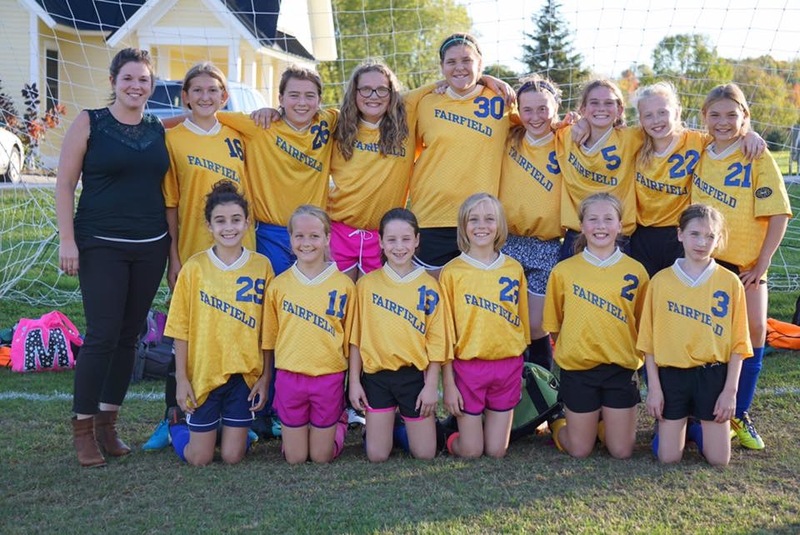 It is a privilege to participate as a member of a Fairfield Center School sports team. The Principal and Athletic Director reserves the right to remove a student, temporarily or permanently, from a team. 4. The rules, regulations, and behavior policies set forth by the coach (for both students and parents) are non-negotiable. If parents or students refuse to abide by the wishes of any coach, athletic director, official, teacher, or administrator, they will be asked to leave immediately and may be required to withdraw from the sport. 6. An up-to-date sports physical must be on file in the nurse’s office. Attend a study session held at school. Going to the BNML between school and the game/practice is not permitted without advance permission from the Athletic Director. Be picked up by a parent.Students who are absent from school, who are more than 1 hour late, or who are dismissed more than 1 hour early are not permitted to practice or play in a game that day. Exceptions to this rule are made on a case-by-case basis by the Athletic Director and may not be made more than once in an athletic season. Student-Athletes are held to a high standard of conduct, both on and off the field. Students who have a detention or suspension may not participate in the next game following the detention or suspension. They are still required to attend and participate in practices and may be required to do additional workouts as determined by the coach. With your help, Fairfield students will be known as excellent scholar-athletes throughout our region. Please contact our Athletic Director, Kim Covert-Airoldi, if you have any questions.